Congratulations to Nicole Bratis and the team at Pure Skin Beauty & Spa for being named our Salon of the Month for April! 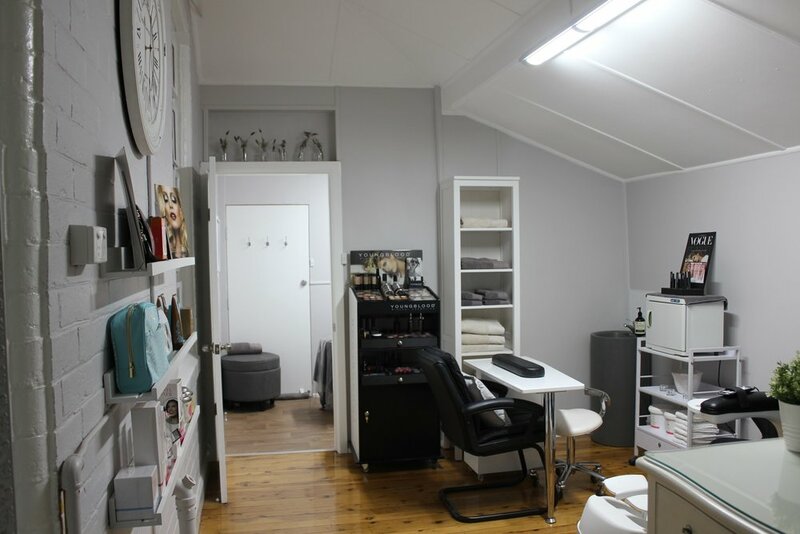 Located in gorgeous Berri, South Australia, Pure Skin Beauty & Spa specialise in a wide range of beauty and spa services from makeup, tanning, waxing, and mani/pedis, to day spa body treatments, advanced skincare, and cosmetic treatments. Starting out in 2007 as a sole owner/operator with 2 rooms, today the spa has five beauty therapists, two reception staff and eight treatment rooms! “Our mission since the early days has remained the same - to deliver premium customer service and professional skincare, beauty and cosmetic treatments in an immaculate environment, obtaining maximum results as well as relaxation. 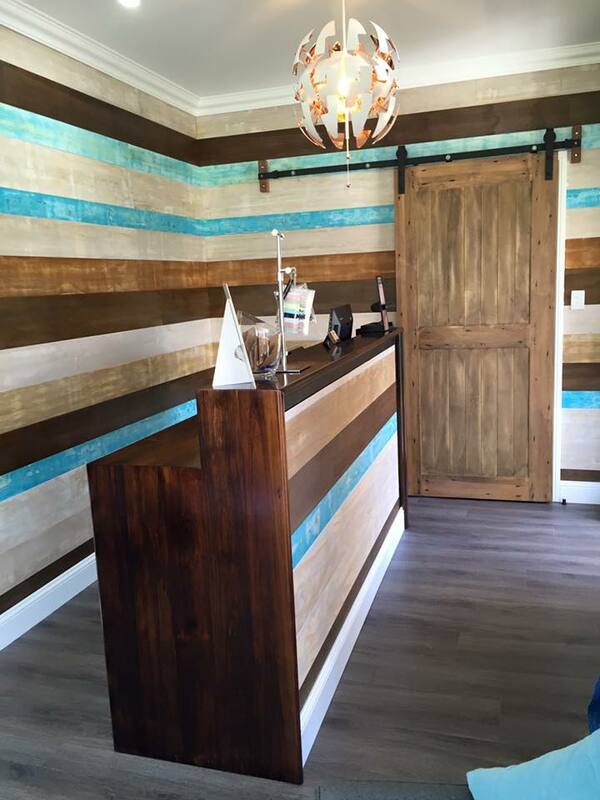 We want our customers to feel at home and cared for at all times,” explains salon owner, Nicole. After taking on Youngblood over a decade ago, Pure Skin Beauty & Spa have recently reintroduced the brand and made it the spa’s exclusive makeup range. 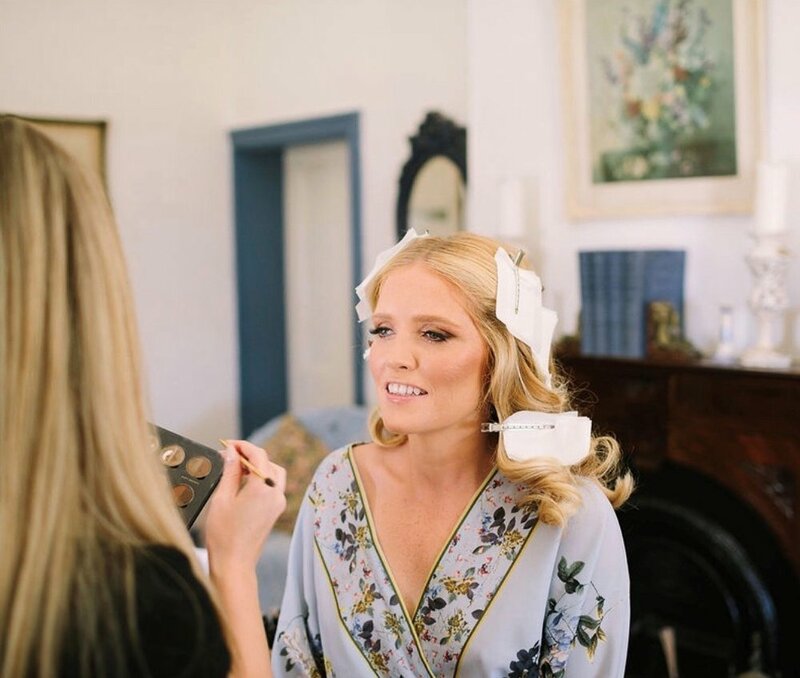 If you’re a bride-to-be or have a special event planned you can trust you’ll be in good hands with Nicole – a two-time ABIA Makeup Artist of the Year Finalist (2016 & 2017) and a member of the Mercedes Benz Fashion Week Pro Makeup team for the past 5 years, who has gained exposure and a devoted following for in-salon bridal and event makeup. Pure Skin Beauty & Spa also stock popular PBS brands Image Skincare and Bestow Beauty, and have seen fantastic results with their Dermalux LED unit. The spa prides itself on top notch customer service and has recently employed reception staff to improve customer experience and allow the therapists to focus solely on treatments throughout the day. The salon also finds that follow-up calls and SMS and email blasts keep customer satisfaction rates high, and they offer custom-designed treatments and complimentary add-ons to make each treatment extra special. “Our primary goal which we instill in our therapists has always been to ensure complete client satisfaction, pay strong attention to detail, and provide a place of comfort where the client can confide in us and feel at home whilst receiving quality professional treatments,” says Nicole. Pure Skin Beauty & Spa continue to grow their sales and increase their clientele base with the help of social media, customer feedback and their popular VIP events. 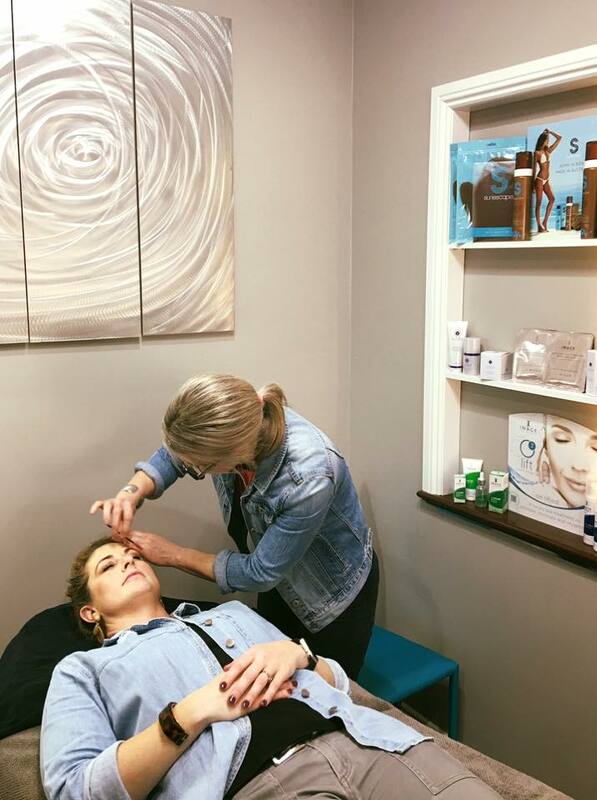 To introduce Dermalux, the spa threw a VIP launch party where a ‘Skin Bar’ offered express Dermalux treatments, mini makeovers and ‘2 for $99’ Dermalux treatments packages. 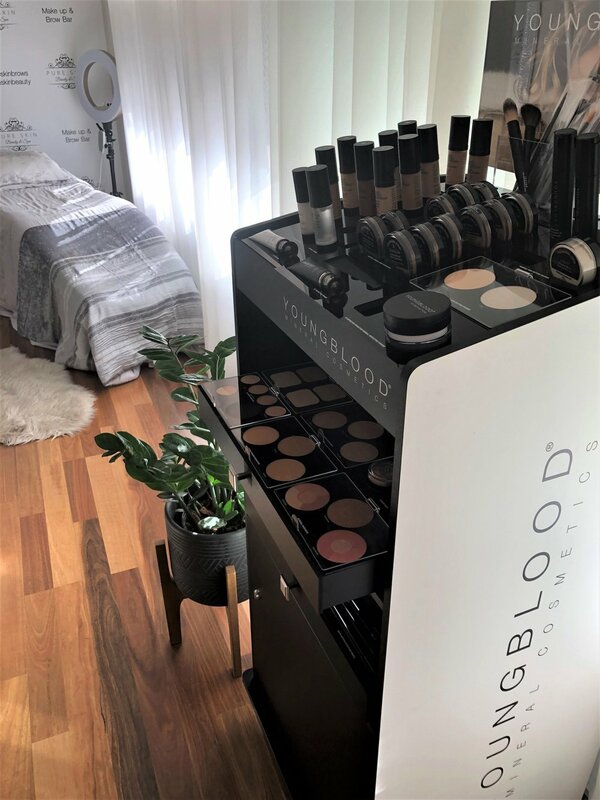 “We were beyond excited to realise we’d sold $3000 worth of Dermalux packages on the night and we’re now organising a VIP launch night for Youngblood which our clients are eagerly awaiting,” said Nicole. Pure Skin Beauty & Spa also makes regular use of the PBS MOAP sets on their social media channels and in-salon displays to generate interest and excitement around new product releases and special offers, and Nicole has found that this type of promotion see products and services sell themselves! Well done to Nicole and her team on their amazing achievements! PBS are excited to be a part of her success story and we can’t wait to see how Pure Skin Beauty & Spa continues to grow. Congratulations on earning Salon of the Month! Has your salon found success using PBS products and MOAP? Want to see you and your therapists featured in the next Salon of the Month? We want to hear from you! Share your unique success story and tips and tricks with us and you could WIN $300 in promotional items for your salon. Email marketing@probeautysolutions.com.au for information on how to nominate your salon for PBS ‘Salon of the Month’. 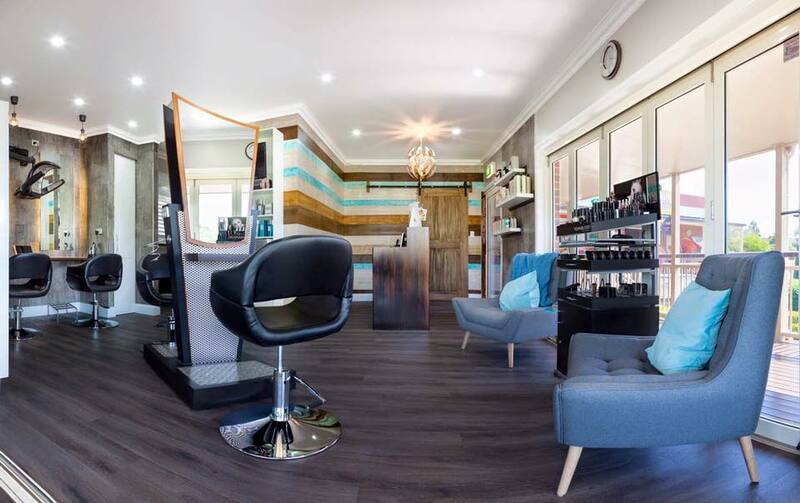 A boutique salon in Hodgsonvale, 15 minutes outside Toowoomba City, Toowoomba Hair Designers specialises in hairdressing and beauty therapy. 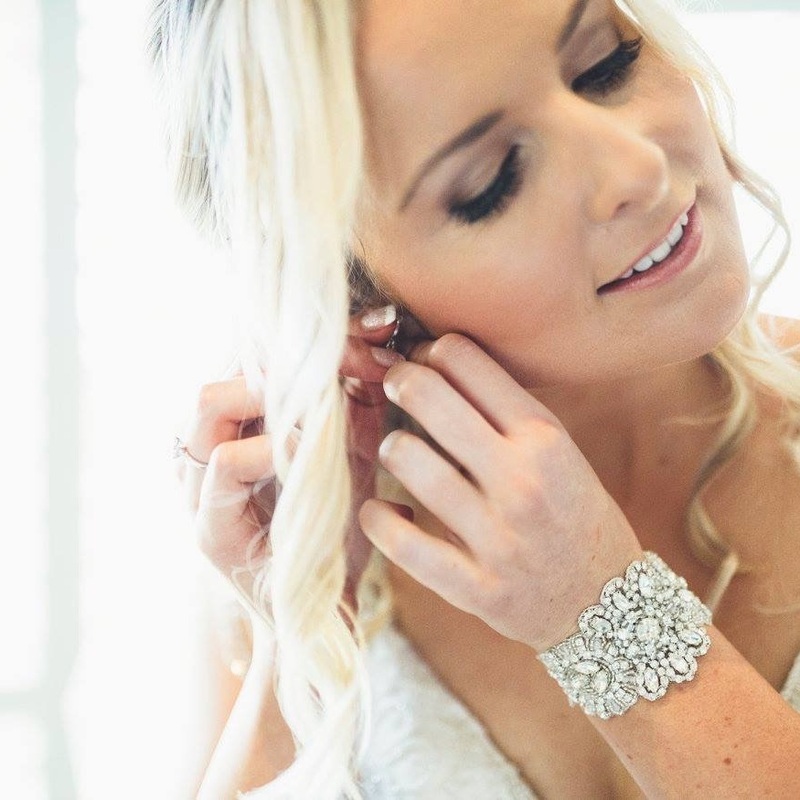 For over 17 years the team at Toowoomba Hair Designers have been devoted to providing exceptional service while offering a complete beauty experience in a relaxing environment – a lifesaver for time-poor clients. Toowoomba Hair Designers journey with PBS started out with Youngblood over 13 years ago and they then introduced Sunescape four years later. They’ve since added Image Skincare and Bestow Beauty to their stable of brands, with both proving to be hits with their clients! Cathy believes the business excels because they put their clients first and focus on delivering top notch customer service. In order to create a welcoming and caring environment the salon staff go out of their way to personally get to know each client and take an interest in their lives, ensuring the salon is somewhere clients look to return to for friendly conversation, relaxing treatments and great results. “To ensure we have a loyal cliental we always make sure our customers are happy and excited about their new looks and treatments, and we always educate them thoroughly about their chosen products to ensure they keep seeing results,” says Cathy. As a part of their marketing activities the salon recently held a Bestow Beauty VIP night where they cooked up Bestow recipes, sampled Bestow herbal teas and gave out complimentary Bestow samples for clients to try. They also gave clients the opportunity to try products from the other brands they stock and even held a raffle to win a hamper of Bestow, Youngblood, Image Skincare and Sunescape products! Needless to say, the VIP night was a total success and the salon immediately saw an increase in sales of Bestow teas and recipe books, as well as Image Skincare’s I Conceal foundations. When it comes to day-to-day promotion of the business through social media, the team at Toowoomba Hair Designers always make sure they take advantage of the monthly PBS MOAPs, using the graphics across their social media platforms to advertise special offers and discounts. Well done to owner Kate and the team at Toowoomba Hair Designers! We’re excited to be a part of their success story and look forward to seeing how the salon continues to grow. Congratulations on earning Salon of the Month! Bigger and better than ever, the PBS Skin Summit is the industry event of the year your business can't afford to miss! Combining celebration and education over two days, Skin Summit kicks off in style with the annual PBS Gala Dinner and a very special Image Skincare Worldwide Launch party! Enjoy a delicious three course dinner, drinks and live entertainment, network with like minded therapists and leaders in the beauty industry, and celebrate success when we announce our prestigious “Salon of the Year” and “Stockist of the Year” winners! It's down to business on Day 2, with a full day of education and training covering a wide range of topics that will help you grow your business and maximise profits! Guest speakers Jacqueline Hill (Director of Global Sales Training - Image Skincare) and Matt Williams (Founder and CEO - Professional Beauty Solutions) will share the secrets of success - from branding advice, consulting tips and social media dos and don'ts, to retail merchandising, goal setting, product training and more. These presentations will benefit all attendees (owners, managers, therapists and staff) and the knowledge gained can be applied in all salons, spas and clinics, regardless of what brands you stock! Discover how to make $5000 profit at your next VIP event, gain valuable insider knowledge when our panel of industry masters and top salon owners share their stories and advice and enjoy special offers and discounts exclusive to Skin Summit attendees. SAVE! 20% off ALL stock orders placed at Skin Summit - available to attendees only. When: Sunday 19th & Monday 20th May (2 day event). Who: All Salon, Spa & Clinic Owners, Managers & Employees, as well as those who aren’t PBS stockists. In other word, everyone is welcome to this industry event! For more information and to register click here! 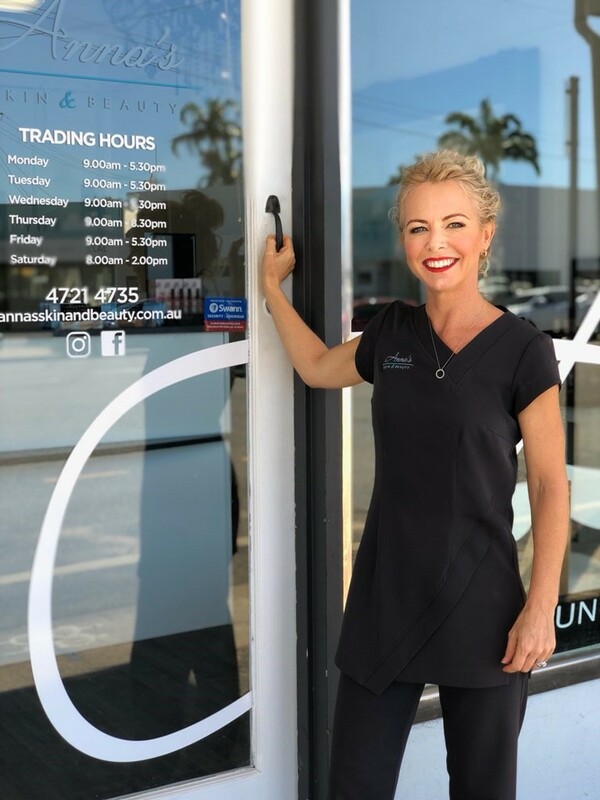 A beautifully appointed beauty salon in Townsville, Anna’s Skin and Beauty offers personalised beauty and skincare services courtesy of their experienced and passionate technician, Anna Preston. After spending the last few years working with other local beauty therapists, Owner/Operator Anna now brings her 19 years of experience into her very own salon. Clients enjoy the specialised personal service she provides while using only the best professional skin care and mineral makeup. “The biggest complaint I received as a manager working in previous salons was that clients see a different person each time they visit. Being an Owner/Operator, my clients see me every time. I do all the treatments and work alone. My clients love that they get me all to themselves when they come in…it’s a true one-on-one relationship” explains Anna. However, it hasn’t been all smooth sailing for Anna’s Skin and Beauty in 2018. After 14 months of trading the salon was completely destroyed by fire. “My drive and determination was stronger than the devastation I was feeling” said Anna. Throughout the heartache, she stayed positive about getting the business running again, and in a remarkable turnaround, Anna’s Skin and Beauty had re-opened at a new premise in just 4 weeks. The business has now begun a new chapter and currently stock Youngblood Mineral Cosmetics, Image Skincare and Cherry Blooms. “I worked with Youngblood for about 14 years at a previous salon. I loved it then and thought it would be perfect for the North Queensland climate. As for Image Skincare, it’s my favourite skincare range of all time. I love the results I get for my clients and myself. Image actually CHANGES skin and people’s lives! said Anna. 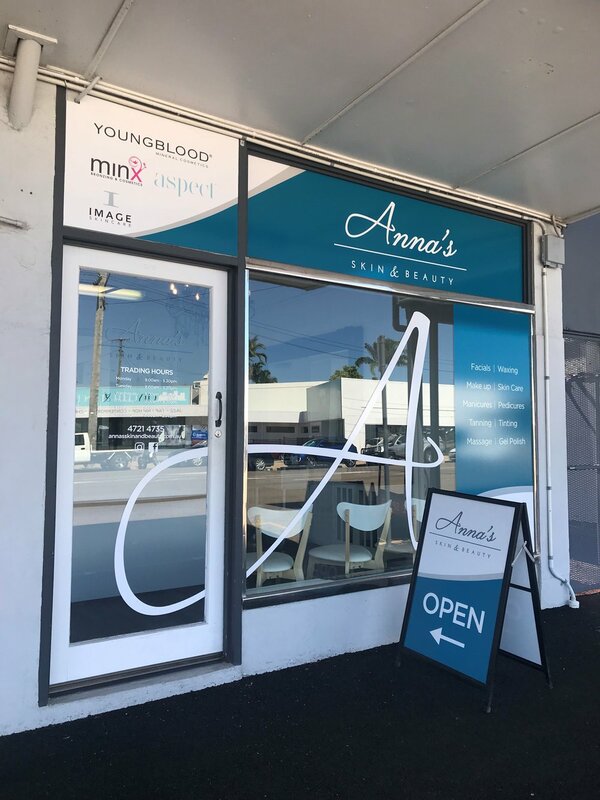 Rated as one of the top 3 beauty salons in Townsville, as well as being featured in several North Queensland Magazines (including DUO, Success, and Business Development Magazine), Anna’s Skin and Beauty are also active users of Marketing on a Platter (MOAP), which allows them to easily run monthly and seasonal promotions in salon and via social media. “I LOVE MOAP, especially for inspiration and social media. The quality of the material and images provided is amazing” said Anna. Well done to Anna for their amazing achievements 2018! 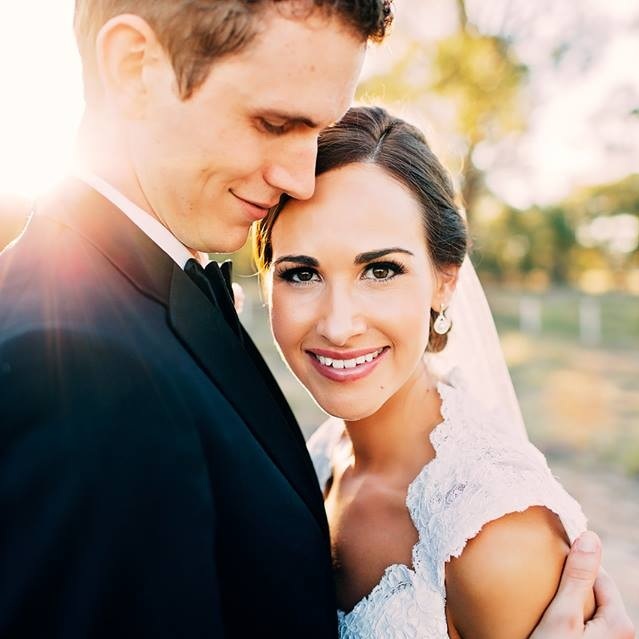 We’re excited to be able to be a part of their success story and can’t wait to see how Anna’s Skin and Beauty continues to grow. Congratulations on earning Salon of the Month.